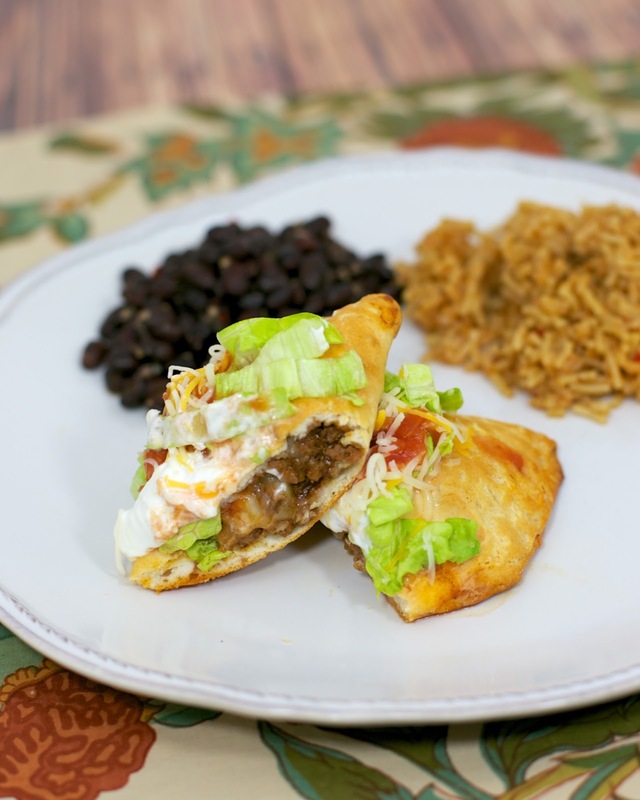 These Taco Pockets are make a quick weeknight meal and a fun twist to taco night. Chicken Legs took one bite and said "I like these a lot better than regular tacos." Sounds like a winner to me! 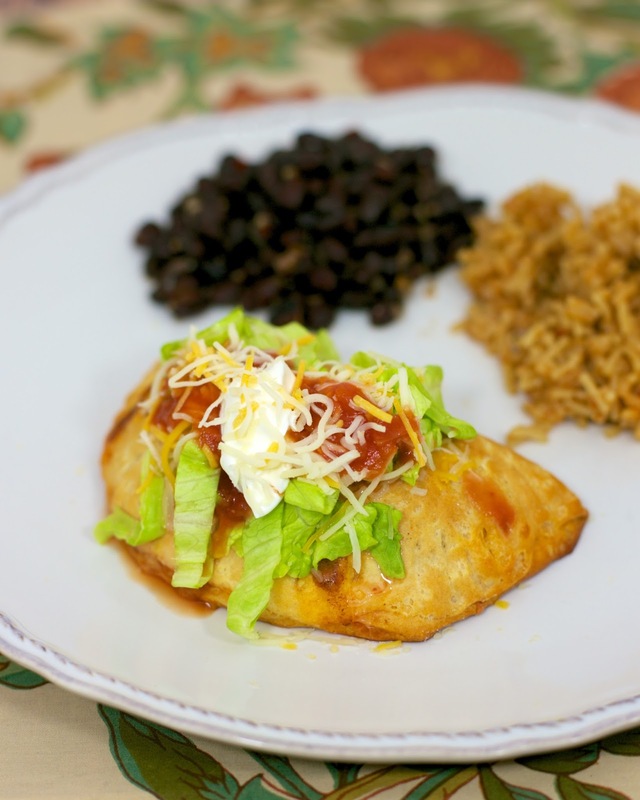 These are great for lunch-on-the-go or serve with some black beans and rice for a delicious dinner. The taco meat can be made ahead of time and either stored in the refrigerator or frozen. I plan all my meals during the week, so I always brown meats on Sunday and store them until I am ready. These only took a few minutes to assemble and were on the table in a little over 30 minutes. In a large skillet, cook lean ground beef until no longer pink. Drain fat. Add taco seasoning and water. Simmer for 10 minutes. Remove from heat. Separate biscuits. Roll each biscuit into a 5-inch circle. Top with approximately 2 Tbsp meat, 1 Tbsp cheese and a teaspoon of salsa. Fold biscuit over filling and pinch edges to seal. Place on baking sheet. Repeat with remaining biscuits. Bake for approximately 15-18 minutes, until golden brown. Top with your favorite taco toppings - lettuce, tomatoes, sour cream, salsa, olives. Mmm... those look fun and tasty! Made these for lunch----so good! Hubby said he was putting at the top of his favorite list! I used Grands Jr. Not sure what the difference is. The Grands Jr biscuits are just smaller than the regular Grands. Either one work great. SO glad you enjoyed them. They look really good! We'll make them this weekend! Going to make these this week for my taco lovin' son. They sound great. If you want to freeze them, bake them first. The dough won't rise as well if they are frozen before being baked. I made these last week and my kids LOVED them! !